Preschoolers love to learn about the world around them, and that world includes their country and its birthday. There are lots of fun ways to incorporate the Fourth of July into your preschool lesson plans, from tasty patriotic snacks to printable activities that will get them thinking about America's history. Although the specifics of the Declaration of Independence may be a bit complicated for younger learners, preschoolers are capable of learning about the general idea behind the document. They can also begin to understand how their individual freedoms work as part of a larger society. At its most basic, the Declaration of Independence is a document that affirms the right of people to be free. Discuss the "pursuit of happiness" with kids, asking for examples of kids doing things that make them happy. Talk about how kids have the freedom to play at the activities they choose as long as their actions don't harm themselves or others. 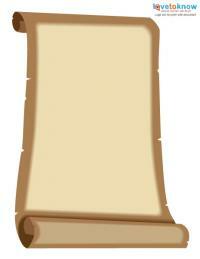 This scroll document offers a chance for kids to create declarations. Simply print the document and have children draw themselves doing something that makes them happy. Talk about each child's picture and how he is enjoying liberty and the pursuit of happiness in the drawing. If you need help saving and printing this free activity, check out these tips. For a patriotic snack treat, serve Fourth of July Jello. This simple recipe uses red Jello, blueberries, and cream cheese to create a beautiful layered treat. 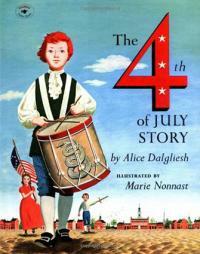 Incorporate Independence Day into story time by including The Fourth of July Story by Alice Dalgliesh. This preschool-appropriate book tells the story of the signing of the Declaration of Independence through the eyes of kid-friendly characters. It provides context without overwhelming young learners. Because of the length of the book, consider reading an excerpt. This title is the best-selling children's Independence Day book on Amazon.com, where reviewers have given it 4.5 stars. The author has earned the Newbery Honor twice and specializes in historical books for children. In addition to creating their own declarations, preschoolers can learn about how having freedom also means working together. This craft idea can help kids see how they are part of the "big picture" of American independence. You'll need a large piece of rectangular poster board, a piece of blue construction paper, some glue, and red and white craft paint. Place the white poster board on a protected work surface, orienting it so one of the long sides is facing you. Glue a square of blue construction paper in the upper left corner. Have each child dip her hand in the red paint and make a hand print on the white portion of the board. Arrange the hand prints in rows to create the red stripes of the flag. Depending on the size of the class, kids may need to make more than one hand print. Have each child dip a finger in the white paint and make a white finger print on the blue portion of the flag. Allow the paint to dry. Hang the flag in the preschool classroom as a decoration. Another fun way to teach little learners about the Fourth of July is to have a special birthday party for America. Preschoolers have attended birthday parties before, so they can use their experiences with these events to gain a better understanding of the holiday. Talk about the idea of a birthday being a celebration of the day you were born and ask kids if they want to share their birth dates with the class. Then discuss how the Fourth of July is the birthday of America and that the whole country celebrates America's birthday together on that day. 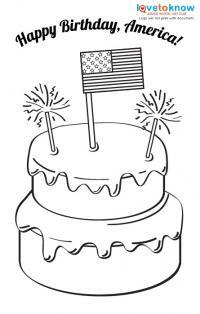 This free printable birthday card will help kids make their own special greeting for the USA. They can color the card using markers or crayons. If you choose, an adult can help write a special birthday message on the back of the card. Make a birthday cake for America using a simple Fourth of July cake idea. You can decorate a purchased sheet cake with white frosting, blueberries, and strawberries to make a fruity and delicious snack for the class. Add a few candles for a little extra birthday flair. 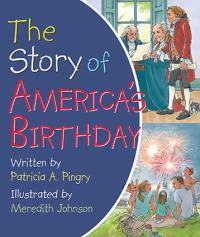 To add to your lesson, read The Story of America's Birthday by Patricia A. Pingry. This sweet board book is designed especially for preschoolers, and it offers a kid-friendly introduction to American history. The book has five stars from Amazon reviewers, who praise it for being the ideal choice for children in this age range. Fireworks are one of the ways people celebrate America's birthday, and kids can make their own with this simple coffee filter craft. You'll need at least three filters for each child, as well as markers, yarn, scissors, and a metal washer. Make a tiny hole in the center of each filter before handing them out to kids. Have kids color the coffee filter as they choose, using lots of bright shades. Let the marker dry. Help preschoolers use scissors to make a fringe all the way around the filter, being careful not to cut all the way to the center. Cut a piece of yarn that is at least three feet long. Tie the washer to one end of it. String the three coffee filters on the yarn through their center holes. Fluff them out to create the appearance of fireworks. 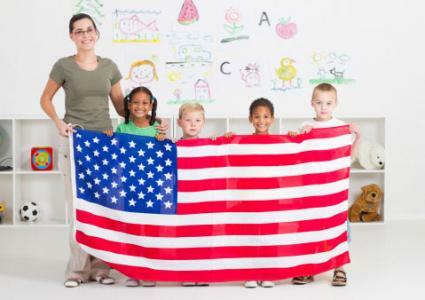 Preschoolers enjoy learning about their country's history, especially if you keep things light and include lots of fun Fourth of July crafts and projects. Incorporating books, printable activities, snacks, and other fun elements can make any Independence Day lesson exciting and inspiring.